What's interesting about this UFO sightings is it features two white orbs flying very quickly, totally parallel together - as if they're locked. Are we looking at aircraft lights, or something else? Location: Bangkok, Thailand. 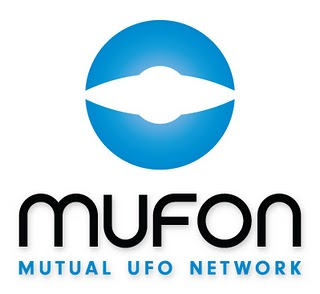 Sorry for not keeping up with MUFON reports - I'll try to be more consistent from hereon... here are all the RECENT sightings reported to MUFON. 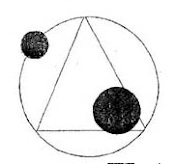 Lots of great sightings, including a bunch of triangles. Lakeland: Appeared as an extremely fast moving, bright pale blue, circle possibly with a trail. Walkersville: Bright, saucer shaped, oblong, slow moving. Woonsocket: lights in trees primarily, caught on video and eyewitnessed.,etc... shiny moving object in sky. Check out these blinking lights that seem to be interacting with each other. Is it something that can be simply explained, or more? Non-detection of írtatok anything, so may even feleresztett lanterns as well. Here's a set of lights hovering over San Bernadino, California, seemingly stationary with some blinking action going on. I saw something so﻿ very similar to this around 11:30 p.m. central-standard in Aurora, IL on Sunday, June 5, 2011. My girlfriend and I had﻿ a very similar discussion. We saw 2 pairs of lights like this. Despite how dark this video is, it features some unknown lights - in triangle formation - hovering over Leninskij Prospekt, Moscow. These ones didn't morph Might not be too exciting to see on video as they are in person, but this is necessary to show just how low-key their behavior is. They typically do not do "tricks' that draw attention to themselves. You have to actively pay attention to the sky for all lights and look for strange colored ones that might not even be moving (or white ones that don't belong in that spot in the sky). They pick different spots that seem to be picked after a higher-flying craft scopes out the area from above for safety. This is why camping out in the woods DOES NOT WORK. 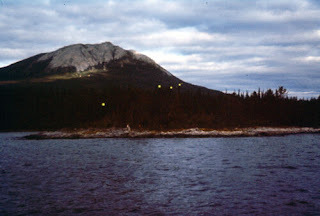 They have to already be IN there for anyone to get closer, BUT since on several occasions we've witnessed the fast-moving meteor-like orbs whiz off into other patches of woods, it's likely that unless they ALLOW you to get closer, it's not going to happen. BEGINNING OF VIDEO was filmed days later IN those woods they hang out in. Shot was not on top of hill. I will post the entire hike (minus the tick sucking on my stomach) hopefully soon. Like the other patches they've been seen coming out of -- no evidence was found (although I don't have a Geiger counter to check for radiation). I HIGHLY recommend some quality night vision equipment to see them when invisible to human eyes (they don't 'disappear' btw, just somehow shift into infrared spectrum our eyes can't see well). Yukon Night Ranger Binoculars (has VIDEO OUT jack to record) or BETTER night vision equipment. Good advice on additional UFO hunting/recording equipment can be found in forums on UFONV.com (run by UFONV on youtube -- guy who inspired me to get some). Video description of this UFO over Scotland, uploaded today: "filmed this Ufos over Aberfoyle near Stirling One of the Best that i have seen To the eye it was ICE BLUE with Violet around the edge with four beams of light coming from the corners it was that close I thought i was going to get abducted It was amazing to see. 100% UFO."